There's a notorious problem with defining information within physics, namely that on the one hand information is purely abstract, and the original theory of computation as developed by Alan Turing and others regarded computers and the information they manipulate purely abstractly as mathematical objects. Many mathematicians to this day don't realize that information is physical and that there is no such thing as an abstract computer. Only a physical object can compute things. I think it's important to regard science not as an enterprise for the purpose of making predictions, but as an enterprise for the purpose of discovering what the world is really like, what is really there, how it behaves and why. Some considerable time ago we were discussing my idea, new at the time, for constructor theory, which was and is an idea I had for generalizing the quantum theory of computation to cover not just computation but all physical processes. I guessed and still guess that this is going to provide a new mode of description of physical systems and laws of physics. It will also have new laws of its own which will be deeper than the deepest existing theories, such as quantum theory and relativity. At the time, I was very enthusiastic about this, and what intervened between then and now is that writing a book took much longer than I expected. But now I'm back to it, and we're working on constructor theory and, if anything, I would say it's fulfilling its promise more than I expected and sooner than I expected. One of the first rather unexpected yields of this theory has been a new foundation for information theory. There's a notorious problem with defining information within physics, namely that on the one hand information is purely abstract, and the original theory of computation as developed by Alan Turing and others regarded computers and the information they manipulate purely abstractly as mathematical objects. Many mathematicians to this day don't realize that information is physical and that there is no such thing as an abstract computer. Only a physical object can compute things. On the other hand, physicists have always known that in order to do the work that the theory of information does within physics, such as informing the theory of statistical mechanics, and thereby, thermodynamics (the second law of thermodynamics), information has to be a physical quantity. And yet, information is independent of the physical object that it resides in. I'm speaking to you now: Information starts as some kind of electrochemical signals in my brain, and then it gets converted into other signals in my nerves and then into sound waves and then into the vibrations of a microphone, mechanical vibrations, then into electricity and so on, and presumably will eventually go on the Internet. This something has been instantiated in radically different physical objects that obey different laws of physics. Yet in order to describe this process you have to refer to the thing that has remained unchanged throughout the process, which is only the information rather than any obviously physical thing like energy or momentum. The way to get this substrate independence of information is to refer it to a level of physics that is below and more fundamental than things like laws of motion, that we have been used thinking of as near the lowest, most fundamental level of physics. Constructor theory is that deeper level of physics, physical laws and physical systems, more fundamental than the existing prevailing conception of what physics is (namely particles and waves and space and time and an initial state and laws of motion that describe the evolution of that initial state).What led to this hope for this new kind of foundation for the laws of physics was really the quantum theory of computation. I had thought for a while that the quantum theory of computation is the whole of physics. The reason why it seemed reasonable to think that was that a universal quantum computer can simulate any other finite physical object with arbitrary accuracy, and that means that the set of all possible motions, which is computations, of a universal computer, corresponds to the set of all possible motions of anything. There is a certain sense in which studying the universal quantum computer is the same thing as studying every other physical object. It contains all possible motions of all possible physical objects within its own possible diversity. I used to say that the quantum theory of computation is the whole of physics because of this property. But then I realized that that isn't quite true, and there's an important gap in that connection. Namely, although the quantum computer can simulate any other object and can represent any other object so that you can study any object via its characteristic programs, what the quantum theory of computation can't tell you is which program corresponds to which physical object. This might sound like an inessential technicality, but it's actually of fundamental importance because not knowing which abstraction in the computer corresponds to which object is a little bit like having a bank account and the bank telling you, "Oh, your balance is some number." Unless you know what number it is, you haven't really expressed the whole of the physical situation of you and your bank account. Similarly, if you're only told that your physical system corresponds to some program of the quantum computer, and you haven't said which, then you haven't specified to the whole of physics. Then I thought, what we need is a generalization of the quantum theory of computation that does say that, that assigns to each program the corresponding real object. That was an early conception of constructor theory, making it directly a generalization of the theory of computation. But then I realizedthat that's not quite the way to go because that still tries to cast constructor theory within the same mold as all existing theories and, therefore, it wouldn't solve this problem of providing an underlying framework. It still would mean that, just as a program has an initial state and then laws of motion (that is, the laws of the operation of the computer) and then a final state (which is the output of the computer), so that way of looking at constructor theory would have simply been a translation of existing physics. It wouldn't have provided anything new. The new thing, which I think is the key to the fact that constructor theory delivers new content, was that the laws of constructor theory are not about an initial state, laws of motion, final state or anything like that. They are just about which transformations are possible and which are impossible. The laws of motion and that kind of thing are indirect remote consequences of just saying what's possible and what's impossible. Also the laws of constructor theory are not about the constructor. They're not about how you do it, only whether you can do it, and this is analogous to the theory of computation. The theory of computation isn't about transistors and wires and input/output devices and so on. It's about which transformations of information are possible and which aren't possible. Since we have the universal computer, we know that each possible ones corresponds to a program for a universal computer, but the universal computer can be made in lots of different ways. How you make it is inessential to the deep laws of computation. In the case of constructor theory, what's important is which transformations of physical objects are possible and which are impossible. When they're possible, you'll be able to do them in lots of different ways usually. When they're impossible, that will always be because some law of physics forbids them, and that is why, as Karl Popper said, the content of a physical theory, of any scientific theory, is in what it forbids and also in how it explains what it forbids. If you have this theory of what is possible and what is impossible, it implicitly tells you what all the laws of physics are. That basis, very simple basis, is proving very fruitful already, and I have great hopes that various niggling problems and notorious difficulties in existing formulations of physics will be solved by this single idea. It may well take a lot of work to see how, but that's what I expect, and I think that's what we're beginning to see. This is often misunderstood as claiming that only the scientific theories are worth having. Now that, as Popper once remarked, is a silly interpretation. For example, Popper's own theory is a philosophical theory. He certainly wasn't saying that was an illegitimate theory. In some ways this theory, just like quantum theory and relativity and anything that's fundamental in physics, overlaps with philosophy. So having the right philosophy, which is the philosophy of Karl Popper basically, though not essential, is extremely helpful to avoid going down blind alleys. Popper, I suppose, is most famous for his criterion of demarcation between science and metaphysics; scientific theories are those that are, in principle, testable by experiment; and what he called metaphysical theories (I think they would be better called philosophical theories) are the ones that can't. Being testable is not as simple a concept as it sounds. Popper investigated in great detail and laid down principles that lead me to the question, in what sense is constructor theory testable? Constructor theory consists of a language in which to express other scientific theories—(Well, that can't be true or false. It can only be convenient or inconvenient)—but also laws. But these laws are not about physical objects. They're laws about other laws. They say that other laws have to obey constructor theoretic principles. That raises the issue of how you can test a law about laws, because if it says that laws have to have such-and-such a property, you can't actually go around and find a law that doesn't have that property, because experiment could never tell you that that law was true. Fortunately, this problem has been solved by Popper. You have to go indirectly in the case of these laws about laws. I want to introduce the terminology that laws about laws should be called principles. A lot of people already use that kind of terminology, but I'd rather make it standardized. For example, take the principle of the conservation of energy, which is a statement that all laws have to respect the conservation of energy. Perhaps it's not obvious to you, but there is no experiment that would show a violation of the conservation of energy, because if somebody presented you with an object that produced more energy than it took in, you could always say, "Ah, well, that's due to an invisible thing or a law of motion that's different from what we think, or maybe the formula for energy is different for this object than what we thought," so there's no experiment that could ever refute it and, in fact, in the history of physics, the discovery of the neutrino was made by exactly that method. It appeared that the law of conservation of energy was not being obeyed in beta decay, and then Pauli suggested that maybe the energy was being carried off by an invisible particle that you couldn't detect. It turned out that he was right, but the way you have to test that is not by doing an experiment on beta decay but by seeing whether the theory, the law that says that the neutrino exists, is successful and independently testable. It's the testability of the law that the principle tells you about, that, in effect, provides the testability of the principle. One thing I think is important to stress about constructor theory is when I say we want to reformulate physics in terms of what can and can't be done, that sounds like a retreat into operationalism or into positivism or something: that we shouldn't worry about the constructor, that is, the thing that does the transformation, but only in the input and output and whether they are compatible. But actually, that is not how it works in constructor theory. Constructor theory is all about how it comes about. It just expresses this in a different language. I'm not very familiar with the very popular idea of cybernetics that came about a few decades ago, but I wouldn't be surprised if those ideas that proved at the time not to lead anywhere were actually an early avatar of constructor theory. If so, we'll only be able to see that with hindsight, because some of the ideas of constructor theory are really impossible to have until you have a conceptual framework that is post quantum theory of computation, i.e., after the theory of computation has been explicitly incorporated into physics, not just philosophically. That's what the quantum theory of computation did. I'm not sure whether von Neumann used the term "constructor theory" or did he just call it the universal constructor? Von Neumann's work in the 1940s is another place where constructor theory could be thought to have its antecedents. But von Neumann was interested in different issues. He was interested in how living things can possibly exist, given what the laws of physics are. This was before the DNA mechanism was discovered. He was interested in issues of principle, how the existence of a self-replicating object was even consistent with the laws of physics as we know them. He realized that there was an underlying logic and underlying algebra, something that in which one could express this and show what was needed. He actually solved the problem of how a living thing could possibly exist basically by showing that it couldn't possibly work by literally copying itself. It had to have within it a code, a recipe, a specification or computer program, as we would say today, specifying how to build it and, therefore, the self-replication process had to take place in two stages. He did this all before the DNA system was known, but he never got any further because from my perspective, he never got anywhere with constructor theory or with realizing that this was all at the foundations of physics rather than just the foundations of biology, because he was stuck in this prevailing conception of physics as being about initial conditions, laws of motion and final state – where, among other things, you have to include the constructor in your description of a system, which means that you don't see the laws about the transformation for what they are. When he found that he couldn't make a mathematical model of a living object by writing down its equations on a piece of paper, he resorted to simplifying the laws of physics and then simplifying them again and again and eventually invented the whole field that we now call cellular automata. It is a very interesting field but it takes us away from real physics, because it abstracts away the laws of physics. What I want to do is to go in the other direction, to integrate it with laws of physics but not as they are now but with the laws of physics that have an underlying algebra that resembles or is a generalization of the theory of computation. Several strands led towards this. I was lucky enough to be placed in more than one of them. The main thing was that starting with Turing and then Rolf Landauer (who was a lone voice in the 1960s saying that computation is physics—because the theory of computation to this day is regarded by mathematicians as being about abstractions rather than as being about physics), Landauer realized that the concept of a purely abstract computer doesn't make sense, and the theory of computation has to be a theory of what physical objects can do to information. Landauer focused on what restrictions the laws of physics imposed on what kinds of computation can be done. Unfortunately, that was the wrong way around because as we later discovered, the most important thing about the relationship of physics with computation, and the most striking thing, is that quantum theory (i.e., the deepest laws of physics that we know) permit new modes of computation that wouldn't be possible in classical physics. Once you have established the quantum theory of computation, you've got a theory of computation that is wholly within physics, and it's then natural to try to generalize that which is what I wanted to do. So that's one of the directions. Von Neumann was motivated really by theoretical biology rather than theoretical physics. Another thing that I think inhibited Von Neumann from realizing that his theory was fundamental physics was that he had the wrong idea about quantum theory. He had settled for, and was one of the pioneers of, building a cop-out version of quantum theory that made it into just an operational theory, where you would use quantum theory just to work out and predict the outcomes of experiments rather than express the laws of how the outcome comes about. That was one of the reasons why von Neumann never thought of his own theory as being a generalization of quantum theory, because he didn't really take quantum theory seriously. His contribution to quantum theory was to provide this set of Von Neumann rules that allows you to use the theory in practice without ever wondering what it means. I came from a different tradition of thinking, via Hugh Everett and Karl Popper in their different ways. Both of them insisted that scientific theories are about what is really there and why observations come about, not just predicting what the observations are. Therefore, I couldn't be satisfied with just an operational version of quantum mechanics. I had to embrace the Everett or many-universes interpretation of quantum mechanics from the present point of view. The key thing about that is that it is a realistic theory, as the philosophers say. That is, it's a theory that purports to describe what really happens rather than just our experiences of what happens. Once you think of quantum theory that way, it's only a very small step to realizing that, first of all, that computation is the quantum theory of computation, which was my earlier work, and then that the quantum theory of computation is not sufficient to provide the foundation for the whole of physics. So what's the rest? Well, the rest is constructor theory. What's needed in constructor theory is to express it in terms of that can be integrated with the rest of physics, formulae, equations, because only then can it make contact with other scientific theories. The principles of constructor theory then constrain the laws of other theories (which I call subsidiary theories now). The constructor theory is the deepest theory, and everything else is subsidiary to it. It constrains them and that, then, leads to contact with experiment. The key thing to do apart from guessing what the actual laws are is to find a way of expressing them. The first item on the agenda then is to set up a constructor theoretic algebra that's an algebra in which you can do two things. One is to express any other scientific theory in terms of what transformations can or cannot be performed. The analog in the prevailing formulation of physics would be something like differential equations, but in constructor theory it will be an algebra. And then to use that algebra also to express the laws of constructor theory, which won't be expressed in terms of subsidiary theories. They will just make assertions about subsidiary theories. Chiara Marletto  (a student I'm working with) and I are working on that algebra. It's a conceptual jolt to think in terms of it rather than in the terms that have been traditional in physics for the last few decades. We try and think what it means, find contradictions between different strands of thought about what it means, realize that the algebra and the expressions that we write in the algebra doesn't quite make sense, change the algebra, see what that means and so on. It's a process of doing math, doing algebra by working out things, interleaved with trying to understand what those things mean. This rather mirrors how the pioneers of quantum theory developed their theory too. It was the same thing and, in fact, one of the formulations of quantum theory, namely matrix mechanics as invented by Heisenberg and others, isn't based on the differential equation paradigm but is more algebraic and it, in fact, is another thing that can be seen as a precursor of constructor theory. We haven't yet succeeded in making a viable algebra, but even with the rudimentary form of it that we have now, we have got some remarkable results (this was mainly done by Chiara), which have almost magically provided a deeper foundation for information theory than was possible within physics before. Like all fundamental theories, it's difficult to predict what effect they will have precisely because they are going to change things at a fundamental level. But there is one big thing that I'm pretty sure the constructor theoretic way of looking at physics has to offer our worldview in terms of everyday life: and that is optimism. Optimism in my terminology doesn't mean expecting that things will turn out well all the time. It's this very specific thing that I think captures the historical, philosophical trend of what optimism has meant if you remove the nonsense. Namely, the optimistic view is not that problems will not occur, but that all problems and all evils are caused by lack of knowledge, and the converse of that is that all evils are soluble given the right knowledge. And knowledge can be found by the methods of conjecture, criticism, and so on that we know is the way of creating knowledge. Although this sounds like a statement at a very human level, because it's about knowledge and evils and being able to do things and so on, it is directly linked with constructor theory at the most fundamental level because of the fundamental dichotomy in constructor theory, which claims that the whole of science is to be formulated in terms of the difference between transformations that are possible and those that are impossible, and there isn't a third possibility. That's the thing. The whole thing doesn't work if there's a third possibility. If a task, a transformation, is impossible then constructor theory says it must be because there is some law of physics that makes it impossible. Conversely, if there isn't a law of physics that makes it impossible, then it's possible. There is no third possibility. What does possible mean? In the overwhelming majority of cases, though some things are possible because they happen spontaneously, things that are possible are possible because the right knowledge embodied in the right physical object would make them happen. Since the dichotomy is between that which is forbidden by the laws of physics and that which is possible with the right knowledge, and there isn't any other possibility, this tells us that all evils are due to lack of knowledge. This is counterintuitive. It's contrary to conventional wisdom, and it's contrary to our intuitive or at least culturally intuitive way of looking at the world. I find myself grasping for a third possibility. Isn't there something that we can't do even though there's no actual law of physics that says we won't be able to do it? Well, no, there can't be. This is built into constructor theory. There's no way of getting around it, and I think once you've seen that it's at the foundations of physics, it becomes more and more natural. It becomes more and more sort of obvious in the sense of it's weird, but what else could it be? It's rather like the intuitive shift that comes from realizing that people in Australia really are upside-down compared with us, and they really are down there through the earth. One can know this intellectually, but to actually think in those terms takes an effort. It's something that we all learn at some point, accept intellectually at some point if we're rational, but then to incorporate that into our world-view changes us. It changes us for instance because whole swaths of supernatural thinking are made impossible by truly realizing that the people in Australia are upside-down, and similarly whole swaths of irrational thinking are made impossible by realizing that, in the sense I've just described, there is no third possibility between being able to do it if we have the right knowledge and its being forbidden by the laws of physics. The stereotype of how new ideas get into fundamental science is: First somebody has the idea. Everyone thinks they're crazy, and eventually they're vindicated. I don't think it happens like that very often. There are cases where it does, but I think that much more often, and this is my own experience when I've had new ideas, is that it's not that people say, "You're crazy; that can't be true." They say, "Yes, that's nice. Well done," and then they go off and ignore it, and then eventually people say, "Oh, well, maybe it leads to this, and maybe it leads to that, and maybe it's worth working on. Maybe it's fruitful," and then eventually they work more on it. This has happened in several of the things that I've done, and this is what I would expect to happen with constructor theory. I haven't had anyone tell me that this is crazy and it can't be right, but I'm certainly in the stage of most people or most physicists saying, "Well, that's nice. That's interesting. Well done," and then they go away and ignore it. No one else is actually working on it at the moment. Several of our colleagues have expressed something between curiosity and substantial interest which may well go up as soon as we have results. At the moment, there's no publication. I've submitted a philosophical paper which hasn't even been published yet. When that comes out, it'll get a wider readership. People will understand what it's about, but while in philosophy you can write a paper that just has hopes in it or interpretations of things, in physics you need results. When we have our first few papers that have results, I think that an exponential process of people working on it will begin—if it's true. Of course, it might be that some of these results are of the form "it can't be true", in which case it will end up as an interesting footnote to the history of physics. I had to write the philosophical paper first because there's quite a lot of philosophical foundation to constructor theory, and to put that into a physics paper would have simply made it too long and, to physicists, too boring. So I have to write something that we can refer to. It's philosophical paper first, and then the next thing was going to be constructor theory algebra which is the language and formalism and showing how both old laws and new constructor theoretic laws can be expressed, but now it's likely that the first paper on constructor theory will be constructor theoretic information theory, because it's yielded unexpectedly good results there. We're talking about the foundations of physics here, so the question is whether the theory is consistent, whether it's fruitful, whether it leads to new discoveries. These foundational theories are of interest to people who like foundational theories, but their usefulness comes in their fruitfulness later. Quantum theory is, again, a very good example. Almost nobody was actually interested in quantum theory except a few people who work on the foundations of quantum theory. But now several decades after its discovery, everybody who works on microchips or everyone who works on information or cryptography and so on has to use quantum mechanics, and everybody who wants to understand their position in the universe—what we are—has to take a view of what quantum theory tells us about what we are. For example, you have to take a view about whether it's really true that we exist in vast numbers of parallel copies, some of them slightly different, some of them are the same as I think quantum mechanics inevitably leads to, or not. But there's no rational way of not taking a position on that issue. Although apart from the issue of optimism which is an unexpectedly direct connection to the everyday level, we can't tell at the moment what constructor theory will tell us about ourselves and our position in the universe and what every reasonable person should know, until we work out what the theory says, which we can't do until we work it out properly within the context of theoretical physics. I'm interested in basically anything that's fundamental. It's not confined to fundamental physics, but for me that's what it all revolves around. In the case of constructor theory, how this is going to develop totally depends on what the theory turns out to say and even more fundamentally, whether it turns out to be true. If it turns out to be false that one cannot build a foundation to physics in the constructor theoretic way, that will be extremely interesting because that will mean that whole lines of argument that seemed to make it inevitable that we need a constructor theory are actually wrong, and whole lines of unification that seem to connect different fields don't connect them and yet, therefore, they must be connected in some other way, because the truth of the world has to be connected. If it turns out to be wrong, the chances are it will be found to be wrong long before it's falsified. This again is the typical way in scientific theories. What gets the headlines is if you do an experiment and you predict a certain particle, and it doesn't appear, and then you're proved wrong, but actually the overwhelming majority of scientific theories are proved wrong long before they ever get tested. They're proved wrong by being internally inconsistent or being inconsistent with other theories that we believe to be true, or most often they're proved wrong by not doing the job of explanation that they were designed to do. So if you have a theory that is supposed to, for example, explain the second law of thermodynamics, and why there is irreversibility when the fundamental laws of physics are reversible, and then you find by analyzing this theory that it doesn't actually do that, then you don't have to bother to test it, because it doesn't address the problem that it was designed to address. If constructor theory turns out to be false, I think it's overwhelmingly likely that it will be by that method that it just doesn't do this unification job or foundational job that it was designed to do. Then we would have to learn the lesson of how it turned out to be wrong. Turning out to be wrong is not a disgrace. It's not like in politics where if you lose the election then you've lost. In science, if your idea that looked right turns out to be wrong, you've learned something. One of the central philosophical motivations for why I do fundamental physics is that I'm interested in what the world is like; that is, not just the world of our observations, what we see, but the invisible world, the invisible processes and objects that bring about the visible. Because the visible is only the tiny, superficial and parochial sheen on top of the real reality, and the amazing thing about the world and our place in it is that we can discover the real reality. We can discover what is at the center of stars even though we've never been there. We can find out that those cold, tiny objects in the sky that we call stars are actually million-kilometer, white, hot, gaseous spheres. They don't look like that. They look like cold dots, but we know different. We know that the invisible reality is there giving rise to our visible perceptions. That science has to be about that has been for many decades a minority and unpopular view among philosophers and, to a great extent, regrettably even among scientists. They have taken the view that science, just because it is characterized by experimental tests, has to be only about experimental tests, but that's a trap. If that were so, it would mean that science is only about humans and not even everything about humans but about human experience only. It's solipsism. It's purporting to have a rigorous objective world view that only observations count, but ending up by its own inexorable logic as saying that only human experience is real, which is solipsism. I think it's important to regard science not as an enterprise for the purpose of making predictions, but as an enterprise for the purpose of discovering what the world is really like, what is really there, how it behaves and why. Which is tested by observation. But it is absolutely amazing that the tiny little parochial and weak and error-prone access that we have to observations is capable of testing theories and knowledge of the whole of reality that has tremendous reach far beyond our experience. And yet we know about it. That's the amazing thing about science. That's the aspect of science that I want to pursue. Deutsch's views on "abstract" information being processed by "non-abstract" machines is reminiscent of the general view held by scientific investigators that the instrumentation employed in gathering information may imperceptively alter the nature of the information itself. Examples include the eye that sees things, the microscope that enlarges things, the coincidence counter that edits out stray noise in detecting radioactivity, the Faraday cage that grounds out electrical noise in microelectrode studies, etc. Simply put, there always is a barrier of detection devices between the truth of the thing observed and the mind that records the observation. 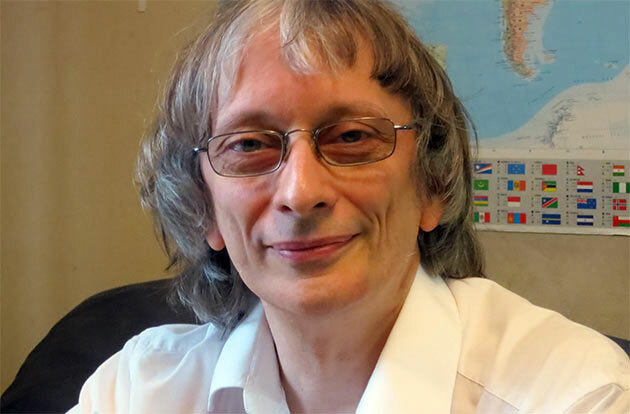 David Deutsch proposes his constructor theory because he wants to know what the world is really like. In trying to understand what the world is like, he skirts the most perplexing problem of all: How does David Deutsch, or any other person on this earth, have a conscious experience of the world in which he lives? This experience must be a necessary precursor and a constraint on what he can possibly discover about the world. Here we are unable to avoid a confrontation with the cognitive capacity of the human brain—a matter that most physicists avoid. Deutsch is to be commended for pointing out that information necessarily involves electrochemical signals in his brain. But the greatest volume of information signaling in his brain is not a part of his conscious experience. It is only after unconsciously selected mini-patterns of preconscious neuronal activity are projected in proper spatio-temporal register into his brain's perspectival representation of his surrounding space that they become part of his conscious experience of the world around him as well as his conceptions of possible worlds. The physics that he knows and strives to advance exists in this domain of neuronal activity. We are each born with a system of brain mechanisms that constitute the full scope of our occurrent phenomenal universe. The neuronal structure and dynamics of this cognitive brain system actually construct the world of our experience. But the brain mechanisms that give us this world are evolutionary adaptations selected to better enable us to survive and thrive on our uncertain earth. When David Deutsch regards science as an enterprise for discovering what the world is really like, he seems to be seeking ultimate truths. How can we possibly know the ultimate nature of the world when the cognitive brain, the best tool we have, is a pragmatic and opportunist organ? It seems to me that science, like the brain that conceives it, is a pragmatic enterprise. We may seek to know what the world is really like, but what the world is really like, within the purview of science, is always provisional.